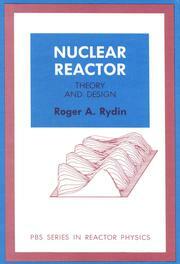 There has not been a new or significantly revised textbook on Reactor Theory published for a number of years. In the meantime, computer codes have become more sophisticated and more universally available, and virtually every student has access to a computer. While a number of rather excellent older books exist, they usually contain at least one of two specific shortcomings. Either the books teach historic Reactor Theory, or they serve as compendia of knowledge for the advanced graduate student or researcher. 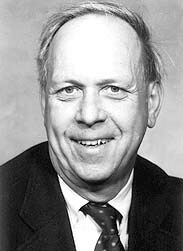 The purpose of the present work is very simply to teach the beginning graduate or undergraduate nuclear engineering student, who may have little or no previous knowledge of the field, the basic principles and ideas of present-day reactor physics design. The approach taken here is oriented towards the understanding and use of computer methods, but the material is carefully arranged so as to give a reasonable analytic foundation for the solutions. The underlying physics and mathematics is continually emphasized. Above all, the development of the ideas behind the methods is stressed. Where necessary, rigor has been sacrificed in order to present a detailed description of the essential underlying ideas. Advanced research areas are mentioned in many cases, but a conscious attempt has been made to keep the scope of the work confined to what material a first year graduate student should reasonably be expected to be exposed to in a single year. For many students, what is presented here is enough, because they will work in other areas of nuclear engineering. But for those who are interested in Reactor Theory as a career, this text should enable them to move to the advanced books and to tackle the literature. The first three chapters are introductory in nature, and are intended primarily as reference material for self-study. For a two-semester course, a reasonable division of the material would be coverage of chapters four through eight in the first semester and chapters nine through twelve in the second semester. A normal undergraduate program can reasonably be expected to have covered the equivalent of chapters one through eight, so that students with a bachelor's degree in nuclear engineering should be able to start the second semester directly. As a departure from previous texts, a number of the problem sets given herein depend upon the use of commercial reactor design computer codes. These codes are available from the National Energy Software Center at Argonne National Laboratory or from the Oak Ridge Radiation Shielding Information Center. A number of these codes run on a PC. Problems are usually assigned to groups of two students, and each problem or problem set attempts to illustrate an idea, such as spatial reactor kinetics, which is difficult to demonstrate otherwise. On the other hand, there is great value in doing analytical derivations, which provide insight and understanding, and problems along these lines have not been neglected. The problems are considered to be an integral part of each chapter and not simply an appendage. In the effort to produce this Third Edition of Reactor Theory and Design, I would like to gratefully acknowledge the help of Pamela Lockley and Vickie Thomas who did an excellent job of typing the manuscript in WORDPERFECT, from which the current form in Microsoft WORD, complete with figures, was extracted.